Thank you for visiting these Dolly Parton Sayings and Quotes. I hope you find value in these Dolly Parton Quotes and Sayings from my large collection of Inspirational Sayings. You are perfect exactly the way you are. The world is perfect the way it is. Love will make a way out of no way. Religion often gets in the way of God. 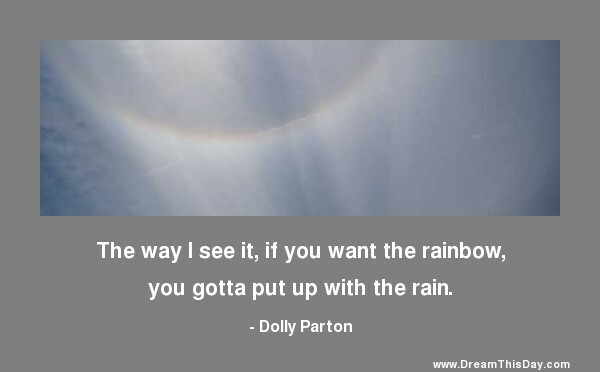 Thank you for visiting: Dolly Parton Sayings - Dolly Parton Quotes - Sayings by Dolly Parton.